For students who need a space to study during late nights, there are several places on and off campus that provide a quiet area to study during finals. 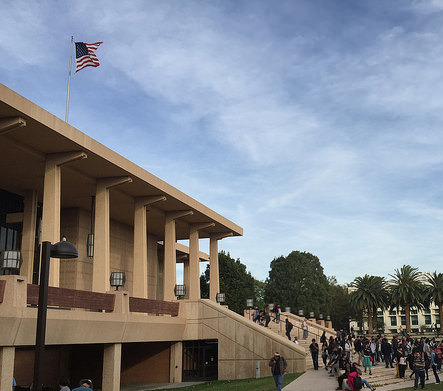 From May 4 to the 18th, the Oviatt Library will be hosting extended hours, typically from 7 to 3 a.m. The lower “talking” floors are useful for organizing group projects while the upper “quiet” floors are designed for silent study sessions. Computers and group study rooms are also available on a first-come, first-serve basis. For students in the dorms, the Community Center provides a 24-hour study space. While this space is reserved for dorming students, non-dorming students can be invited before 7:30 p.m. as a guest. There are couches and electronic charging stations, as well as board games and DVDs provided for study breaks. Each semester, the local Starbucks stores change their hours of operation to 24 hours a day during finals season. Coffee, bagels and wi-fi provide a possible off-campus study spot. If you’re willing to trek out to Sherman Oaks, Crave Cafe is a 24 hour spot with wi-fi, coffee and food. If you don’t mind crowds around 9-11 p.m., Crave is a popular study space among Matadors past and present. Go home. Work on your homework and then go to bed. Sleep is important.